Last weekend, Marino threw a party and everyone was invited. 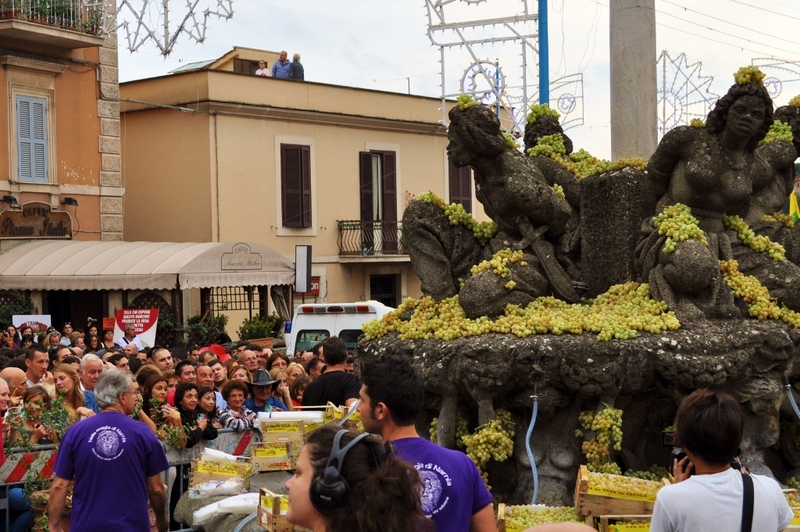 The tiny, medieval town 20 minutes outside Rome hosted its annual Sagra dell’Uva – Grape Festival – in honor and celebration of the Battle of Lepanto (1571). How that relates to grapes or wine, I have no idea. But if there’s one thing Italians know how to do, it’s throw a street party. Local vendors set up stands offering porchetta (a regional specialty), arrosticini (grilled lamb skewers), cheeses, cookies, and of course wine…lots and lots of wine. On Sunday afternoon, after a weekend full of jousting tournaments and parades, all attention is turned to the central piazza as thousands wait anxiously for the “Miracle of the Fountain.” Water turns into wine, literally, and chaos ensues. The thirsty crowd, armed with plastic cups, pushes their way toward the front hoping to get their share of the golden nectar. 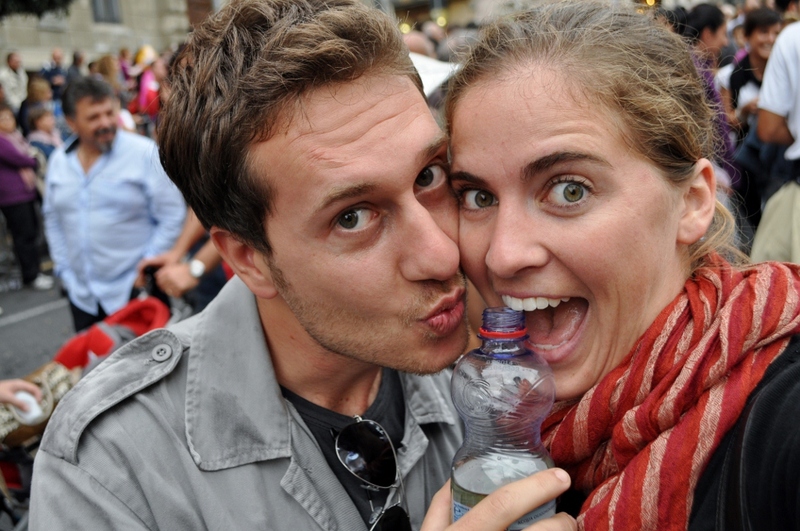 I know, I know…Only in Italy. While a very healthy glass of wine could be purchased for 50 cents at any of the stands surrounding the piazza, I couldn’t pass up the opportunity to drink wine directly from a city fountain. Eugenio and I braved the masses and we squeezed our way to the front to take part in the miracle. And believe me, the happiness of holding a half liter bottle of fountain-wine was worth every minute of the panic and fear of being trampled!! Marino’s Sagra dell’Uva goes back to 1925, with the most infamous year being 2008…the countdown to the miracle…10…9…8…7…6…5…4…3…2…1 AND………………..water. Imagine the disappointment on the faces in the crowd and the embarassment of city officials as this miraculous fountain ends up giving water. A few minutes later, a woman ran to her balcony overlooking the piazza and screamed “Miracolo! !” A plumbing error resulted in wine flowing into the pipes of neighboring houses instead of the main fountain. Marino, where wine is so abundant that it flows from your kitchen sink!! !